Kirsten radiates creative vitality, an energy drawn from a deep well of diverse experience and a passion for what she loves to do — inspire people to embrace a changing world, learn to learn, understand their past and shape their future. Her career spans academia, consulting, banking, insurance, strategy, design, innovation and leadership, across three continents. Kirsten joined Climate-KIC in February 2017 from an Australian financial services conglomerate, Suncorp, a long-standing partner of Climate-KIC and a member of global climate risk information platform, OASIS. She is committed to shaping and placing innovation to catalyse profound systemic change, and is honoured to work with Climate-KIC’s world-class network of partners to support climate innovation across Europe and beyond. Her vision for Climate-KIC is to co-create a multi-sided marketplace for transformation and the generation of innovation options to achieve a zero-carbon economy and a climate resilient society, activating and connecting a community of change agents, investing in exponential shifts in technology and in social innovation, surfacing and bringing into being the elements needed for a new paradigm of living. 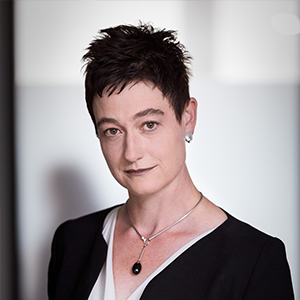 In the role of Executive General Manager Strategic Innovation in Suncorp, Kirsten founded and led a bespoke division focused on managing and responding to strategic risk through innovation, transforming core business and industry models from within. As part of this work, she was instrumental in working towards the creation of Climate-KIC Australia, inspired by the European model. Prior to roles in Second Road, KPMG and Suncorp in Australia, Kirsten worked in the UK and Italy for 15 years. In Italy, she led the Generali Group Innovation Academy for Assicurazioni Generali, pioneering proprietary thinking in the areas of Strategic Risk management, strategic innovation, strategic leadership development and cultural change. Before joining Generali, Kirsten was engaged by UniCredit to design a new Management and Banking Academy, and was for several years a leadership development consultant with Newton Management Innovation in Milan. A specialist in experiential learning and a life-long exponent of cross-disciplinary thought and practice, Kirsten has a Ph.D. in cultural history on the marriage of rhetoric and architecture in the building of Italian medieval and Renaissance cities. Her advisory roles to date have included the IBM European Insurance Advisory Council, Advisory Board of Credit Suisse Business School, Advisory Board of Schering Plough, the Scientific Committee of the University of Bicocca Learning Lab and non-Executive Director on the Board of Traity.com. Her publications include a case study in The Routledge Companion to Strategic Risk Management, Routledge 2016.